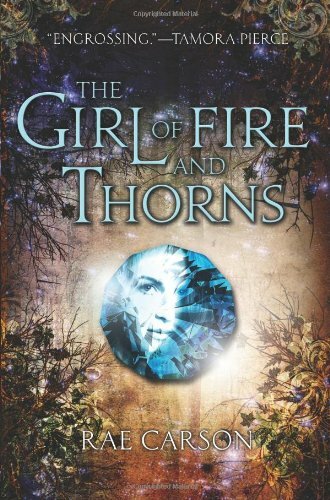 The Girl of Fire and Thorns kicked off the trilogy in a promising vein. The setting and the writing were both excellent. Elisa is perhaps not my favorite protagonist, but I liked that she was more scholar than fighter, and I felt I could relate to her weaknesses. Although Carson puts Elisa in a quasi-love triangle, she refreshingly breaks convention and resolves it by killing off both men, which helps the story neatly move on while raising the stakes. I wrote a brief review of GoF&T in this post. The Crown of Embers was one of those rare sequels that I liked better than the original. In fact, I didn’t just like it, I loved it. I read it once almost straight through, and then I immediately started reading it again. I liked that we got to see more of the capital city of Brisadulce and then also embark on a questing adventure. The character development was actually more satisfying: it was easy for Elisa to act like a leader in a strange rebel camp, so far removed from her real life, but here we see her start to mature into her real-life role as queen. And most of all, the slow-burning love story was exciting–I was totally on Team Hector already from the first book! The cliffhanger-type ending didn’t bother me at all; it’s pretty standard for a second act. In fact, it is almost exactly the same as the ending of Empire Strikes Back, which leads so well into Return of the Jedi. 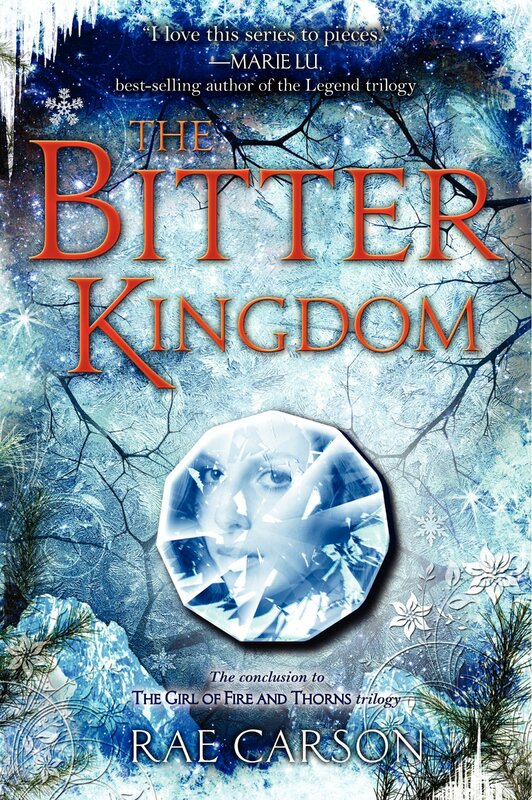 The third book, The Bitter Kingdom, carried the story to an interesting conclusion that was almost bittersweet. Side characters like Storm and Mara continued to develop, and Hector’s new POV chapters, with a clear, distinct voice, were a welcome addition to the story, unlike in some other YA trilogies that have added viewpoints late in the series. In the 2nd and 3rd books, the first-person present-tense POV really grew on me. Never before have I felt that this tense added something to the story instead of being needlessly confusing. But by the time I was done with the series, it seemed so natural that I started writing some of the scenes from one of my novels that way in my head. So, now I am rethinking the narration in that novel. I honestly never thought I would even consider using first person present tense. I mentioned before my love for the setting. I pronounced all the character and place names the Spanish way in my head, for example Joya = Hoya. It was fun to get little insights into the world from the Spanish-derived words, like Joya d’Arena meaning Jewel of the Sand. I was glad to finally see a map in The Bitter Kingdom, because in my head I apparently had the geography of the world flipped exactly upside down and backwards. I very much liked the way religion was portrayed in the series; it fit well into the story (even its fantasy aspects) without overbearing real-world parallels. The church (which has strong Catholic influences, fitting the Hispanic setting) is shown as well-meaning but flawed. Elisa has a real, personal faith, but not all the characters do, and she doesn’t push her beliefs on them. And after she loses her Godstone, she must start to navigate her way without any response to her prayers, which is how all of us in the real world must practice our faith. Elisa and Hector are both pretty young, but I appreciated that their relationship ends up being stable and mature. Through the books they struggle to mesh their professional and personal relationships. Hector fills a role as Elisa’s protector, which is a common dynamic in fictional romantic relationships, but can sometimes come off as unbalanced, with the protector being too controlling (not a healthy trait to extol). Elisa, however, has no problem telling Hector to back off when she feels smothered; she knows that as queen, the balance of power is actually on her side of the relationship. And in fact, part of her growth as queen is learning to let Hector do his job as her Guard, because she really does respect his opinions and knows he is good at what he does. I like that they do find a balance in their relationship, based on their mutual respect. The King’s Guard: This story is the best of the three, told from Hector’s POV as he tries to make it into the Royal Guard as a teenager. I would recommend reading this story after Crown of Embers (or even after Bitter Kingdom), because there are a few small things you will appreciate more. The Shadow Cats: From older sister Alodia’s POV, this prequel is set just before GoF&T. It fills in more of the dynamic between the two sisters, which has always been interesting to me, and some of the background leading up to Elisa’s marriage to Alejandro. It can be read after GoF&T, or at any point in the series. The Shattered Mountain: The only story NOT in first person, and I think I would have liked it more if it were. This is Mara’s story of her journey to the rebel camp, taking place during GoF&T; I felt it was a little less exciting because we already know how it ends. 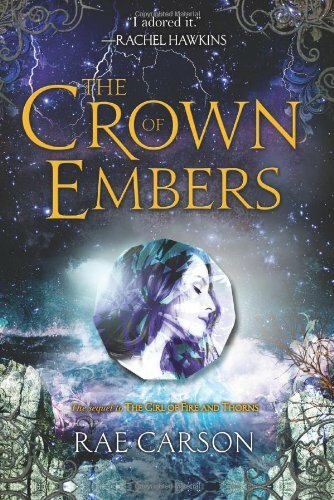 I would recommend reading it before/during/right after Crown of Embers, when Mara starts to play an important role in the story, because it does shed some light on her character. Tl;dr 5/5 stars– I loved this trilogy, and if you like YA fantasy, you will, too. The 2nd book is the high point. Okay, so I skipped 99% of this blog so I could write this comment. Is it only 3 books? Is it fantasy? Looks good based on the covers so was hoping you could give me a little bit more detail w/o spoiling it so I can see if I want to put it on my list. Ha, good job avoiding spoilers! Yes, it’s 3 books, plus some short stories. It is YA fantasy with a female protagonist, and if you’ve liked anything that fits that description you’ll probably like this. Some adventure, some romance, some magic: good stuff. The 2nd book is actually better than the first.